Paddington 2 (film, 2017). A 2017 live-action animated comedy film with "PG" rating by StudioCanal. Directed by Paul King. Official Trailer. Paddington 2 is a 2017 live-action animated comedy film directed by Paul King. 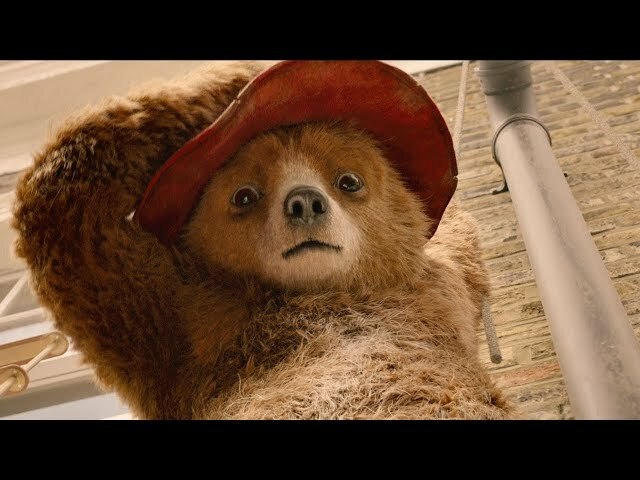 PADDINGTON 2 - US Trailer 2. Paddington, having settled with the Brown family in Windsor Gardens, has become popular in his community, offering people emotional support in various ways. 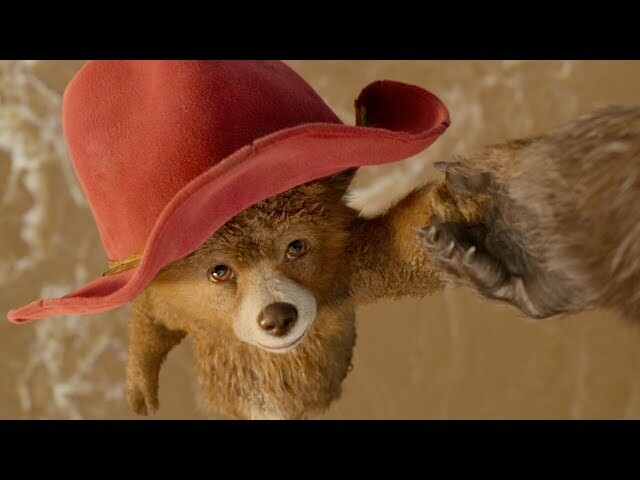 To purchase a unique pop-up book of London in Samuel Gruber's antique shop for Aunt Lucy's 100th birthday, Paddington performs several odd jobs and saves his wages, but the book is stolen. 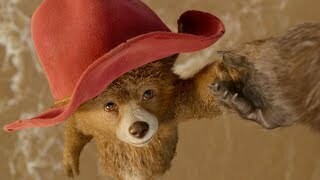 Paddington gives chase, but the culprit escapes, and Paddington is framed and arrested. Although Mr. Gruber and the Browns do not believe that Paddington stole the book, with no evidence that the thief even existed, Paddington is wrongfully convicted and jailed. The thief soon returns home and is revealed to be Phoenix Buchanan, an egotistical actor who lives opposite the Browns. 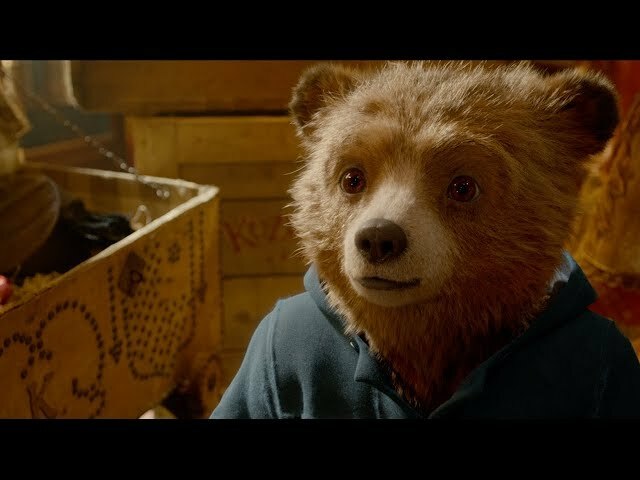 Whilst in prison, Paddington befriends many of the inmates, including the short-tempered chef Knuckles, who hires Paddington, impressed by his marmalade sandwich recipe. The Browns work to clear Paddington's name, putting up sketches of the thief. Buchanan begins using the pop-up book to locate a series of clues within London's famous landmarks, which he believes will unveil the location of a secret treasure. During their efforts to prove Paddington's innocence, the Browns encounter a fortune teller who informs them that the stolen book leads to the hidden fortune of the original author. With Paddington inside, the prison is a much livelier place, but Paddington struggles to remain positive when the Browns are unable to prove his innocence but keep hunting. Becoming convinced that Buchanan is the culprit, the Browns look for the stolen book inside his house. They find a secret attic where Buchanan's various costumes are stashed, including the costume of the thief. Before they can act further, Buchanan returns home and they are forced to leave. Meanwhile, the Browns have missed a prison visit with Paddington, causing Paddington to believe that the Browns have forgotten about him. Principal photography began on 18 October 2016. The film Paddington 2 was scheduled to be released by StudioCanal on November 5, 2017 (London), on November 9, 2017 (Italian Swizterland, Italy), on November 10, 2017 (United Kingdom, Finland, Croatia, Indonesia, Ireland, Philippines, Sweden), on November 19, 2017 (Paris), on November 23, 2017 (Germany, German-speaking Switzerland), on November 24, 2017 (Turkey, Austria, Spain), on November 29, 2017 (Argentina), on November 30, 2017 (Czech Republic, Denmark, United Arab Emirates, Greece, Hungary, Cambodia, Kuwait, Malaysia, Saudi Arabia, Slovakia), on December 1, 2017 (Bulgaria, Estonia, Lithuania, Romania, Taiwan, South Africa), on December 6, 2017 (France, Suisse Romande, Kingdom of the Netherlands), on December 7, 2017 (Portugal, Singapore), on December 8, 2017 (People's Republic of China, Macau, Nigeria, Norway, Pakistan), on December 21, 2017 (Australia, New Zealand), on December 29, 2017 (Poland), on December 31, 2017 (Hong Kong), on January 4, 2018 (Thailand), on January 12, 2018 (Canada, India, United States, Vietnam), on January 18, 2018 (Brazil, Mexico, Peru, Russia, Ukraine), on January 19, 2018 (Japan) and on February 1, 2018 (Chile). The duration of the film is 104 minutes. With a budget of $40 million, the film grossed over $226.9 million. Paddington 2 got high rating from critics. The audience also likes the film. Audiences polled by CinemaScore gave the film an average grade of "A" on a scale ranging from A+ to F.